Over the past four years, a growing meme within the U.S. Naval and Air Force communities has been China’s growing air and space capabilities, especially in the coastal seas of the Western Pacific. That meme has turned into a formative doctrine called “Air-Sea Battle” that the Navy and Air Force are promulgating as a means of demonstrating their continued relevance to U.S. defense. No surprise, then, that writing on China’s air and sea capabilities has been increasing, and that the tone of the professional writing is starting to get shrill. Naval analyst Dan Kostecka offers a more measured analysis, concluding that while China has made impressive strides in capabilities, the less glamorous but essential doctrine, training, and hardware that would make for a truly invincible shield is not there. Kostecka identifies several vulnerabilities that weaken China’s efforts in the region. While he does not come out and say it, the Air Force and the Navy would do well in their early Air Sea Battle concepts to focus on exploiting those weaknesses rather than countering the strengths. It’s a thoughtful, smart piece and one that offers a long-overdue counter to the Write Bigger Checks approach to national defense. 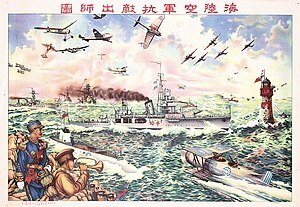 This entry was posted in Aerospace, China and tagged Air Force, Air Sea Battle, Navy. Bookmark the permalink.